Faber Burner manufactures world-class fuel burning equipment with single burner capacities of 10 to 300 MMBTU/Hr. for firing liquid and gaseous fuels in boilers, high temperature hot water generators, process heaters/furnaces, dryers, kilns, and more. From low NOx to alternative fuels, Faber has a combustion solution for your application. The Total Package – The finest and most comprehensive combustion systems available for boilers, high temperature hot water generators, process furnaces and more. 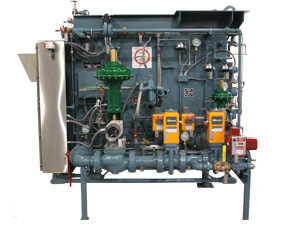 Faber package burners, including our WB and WBC are industrial fuel burner systems capable of firing a host of conventional and alternative fuels. With a product line focus of delivering high quality, high-performance, totally integrated combustion systems that provide user-friendly operation, Faber package burners add tremendous value to any project. 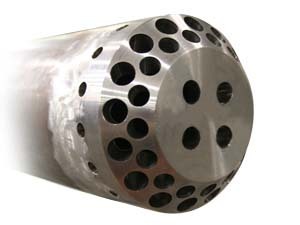 Manufacturing burners of unparalleled flexibility and performance, Faber provides burner assemblies for nearly every application from solid fuel burners to ultra-low NOx natural gas and bio-gas burners. Ensuring a homogeneous mixture of air and fuel in the combustion process is the basis of all burner design. Select from our LxE series of modular, self contained stand alone low NOx gas burners or our VPSSS series of highly customizable low NOx register burners. Since 1926 Faber has been providing combustion solutions to meet the needs of market demand. As a pioneer of fuel burning technology, solving problems to increase reliability, reduce operating costs, and address environmental issues has become second nature. Let Faber put their experience to work for you. 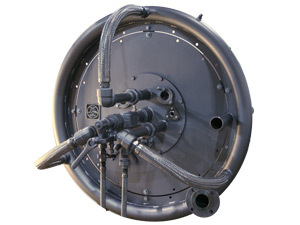 Faber provides individually customized products to meet application specific fuel burner needs. Some examples include: start-up burners, air heaters, warm-up guns, biogas guns, and waste gas guns. Phone: 570-748-4009 • Toll Free: 888-FABER11 (322-3711) • Fax: 570-748-4324 • E-mail: sales@faberburner.com • Site Development • Need replacement parts?